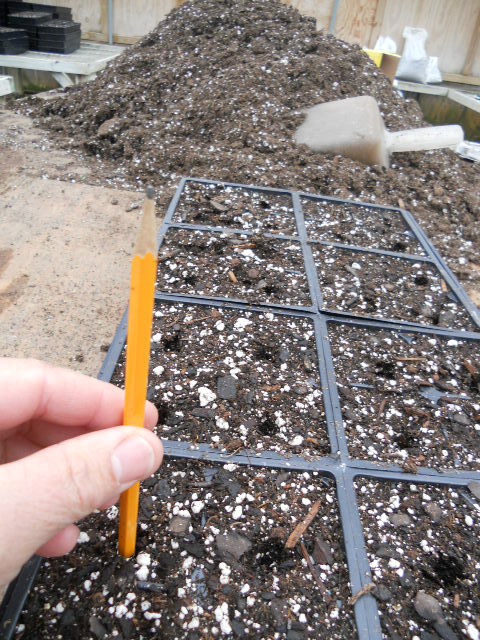 Base your seed planting date on the earliest date when the baby plantcan be transplanted outside, along with the estimated harvest date. 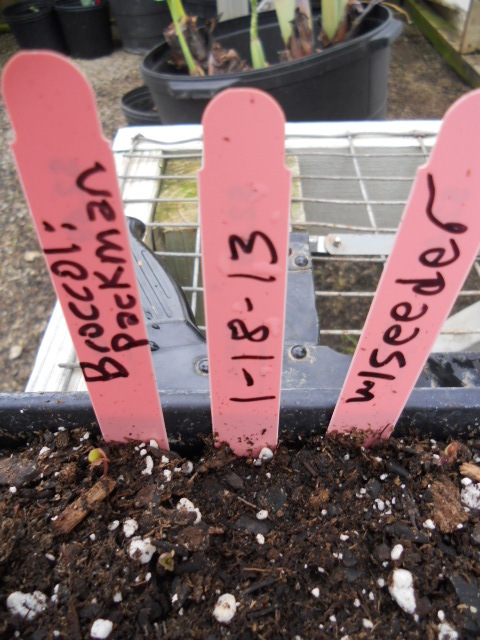 Look on the seed pack or in the seed catalogue to determine the number of days to maturity and count backwards to establish the ideal date to get your seedlings started. In WNC, some cool weather crops can be set out in late February with protection. Many more can be planted in March. In the mountains, you will want to wait to set out heat-loving transplants, like tomatoes and peppers, until after Mothers Day (May 10 to 15). Here is a NC Cooperative Extension Planting Guide for Western North Carolina. Whether you buy your seed through a catalog, a local garden center, an ag supply store, or a local seed company…buy reputable seed. Purchasing Certified Organic seed guarantees that the seeds you buy have been raised using organic farming methods which benefit the environment and benefit the health of farm families and farmworkers. 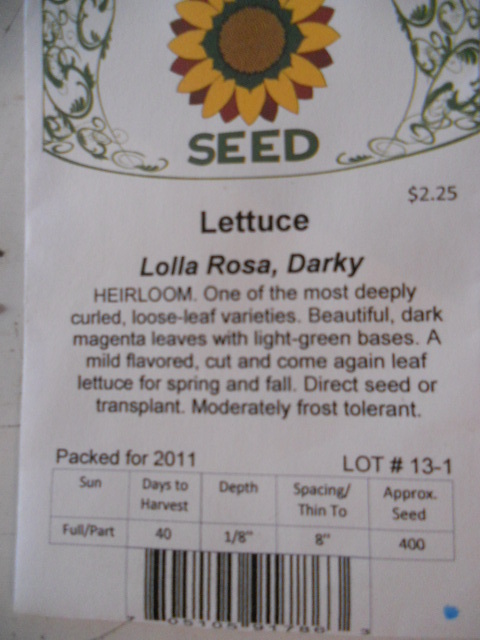 Planting Certified Organic seeds also ensures that the seed contains NO GMO’s (Genetically Modified Organisms). Planting seeds and growing your own transplants allows you to choose unusual seed varieties that you may not find for sale anywhere. These mixes have a very fine texture with minimal bark added, and have been especially formulated for starting seeds. McEnroe Lite is not a germinating mix, but it works well too. …on the seed packet or in your favorite garden book regarding how deep to plant your seed. Each seed has its own requirements. Some seeds don’t even need to be covered with soil (like lettuce) and may require light to germinate, so check before planting. Use a pencil as a dibble and mark common increments with a permanent marker. In the center of each cell in your flat – poke a hole in the soil to the correct planting depth and sow your seeds. …in water laced with liquid kelp before you plant the seeds. Find a plastic tub a bit bigger than your flat. Add water to the tub along with some liquid kelp (kelp enhances germination rates). Float your soil-filled flat in the tub and let it soak until the soil is wet all the way to the top. Dibble your holes, then sow your seed, and cover seeds with soil if needed. Moisten any additional soil – being careful not to blast the seeds out of their positions. Because wet soil is heavy, you will need to set the wet cells directly into a flat so that transporting them is manageable. Bottom soaking is a little extra work that pays off. This step is not a must, but it works very well! Heat-Mats really do increase germination! Heat-mats warm the soil which encourages the seeds to sprout. Fancier heat-mats have adjustable thermostats that can target the ideal soil temperature for sprouting a particular seed. Though it is nice to have the option to set the mat’s temperature, the less expensive mats work really well too, and usually accommodate one flat. Heat-mats are especially effective with heat-loving plants like tomatoes, but will speed germination in cooler season plants. Lettuce will germinate in soil as cool as 40 degrees, so don’t waste your heat-mat space on lettuce. As soon as you see green leaves appearing, immediately turn on your grow lights. Plants can stretch in just a few hours (and then get floppy). Position the grow light(s) close to the soil surface and be ready to adjust the lights on a daily basis. 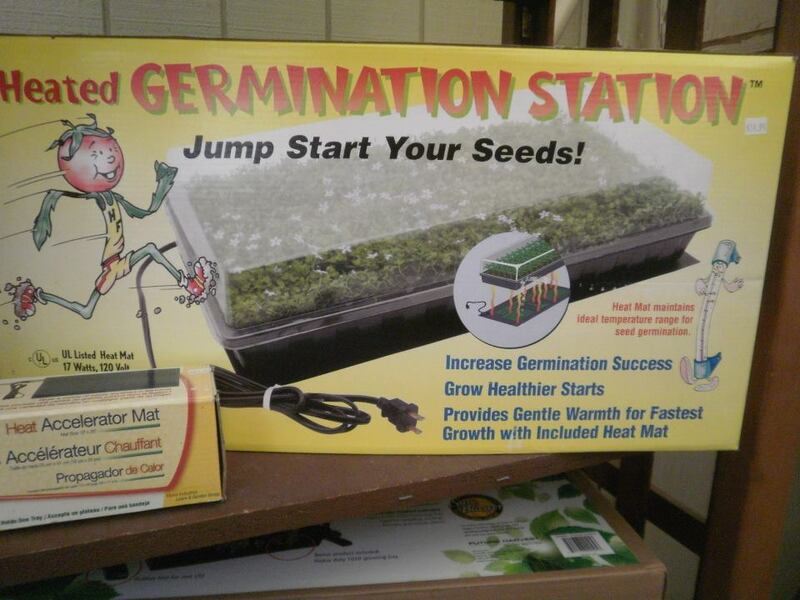 Provide an adequate number of grow lights for the amount of seedlings you are starting. The light(s) should be close enough to keep the seedlings from stretching and far enough away from the plants to prevent burning. A distance of about 2” from the leaves works well. If you don’t have a grow light, place your plants by your brightest window, rotate them daily, and be sure to take them outside on mild days. Provide adequate water. Get it just right…like Goldilocks. Too much water can cause root rot and d e a t h. Too little water and the plant may shrivel and d I e. Gauge moisture levels by pressing your finger into the soil. If it feels wet, wait to water and check again later. Water if the soil is dry-ish, but avoid letting the soil get bone dry. A mister bottle is helpful when the seedlings are delicate. Garden Centers/Ag Supply Stores usually have mini-greenhouses for sale. These are plastic domes that fit the seedling flats exactly and help retain moisture in the seedling flat. Some domes measure about 2” high and other domes are much taller to be able to accommodate older, taller seedlings. On mild days, take your plants outside to experience the real world. This will toughen them up and get them ready for transplanting. Mild breezes make plant stems stouter. Some people even use fans to create a breeze and accomplish this artificially. Bring your plants back inside at nighttime or when you get home from work. It is a good idea to leave them out all night for a few days prior to transplanting outdoors into your garden or containers. Shoot for planting during a mild spell of weather, in the evening, or just prior to a nice rain (all three of these would be ideal!). Remember to water your plants well at transplanting time (I like to water in my plants with a liquid fish/seaweed blend mixed with warm water). Also, water your transplants regularly once they are planted (they require 1” of water per week). Early spring salads and veggies are not only tasty, they are packed with the good-for-you nutrients our bodies crave this time of year. Your baby transplants will turn into delicious suppers in no time. Happy Gardening!